The Atlanta 250 at Atlanta Motor Speedway is the first of 11 races on 1.5-mile tracks on the 33-race NASCAR Xfinity Series schedule. Custer has competed in two career races at Atlanta, including one last year in the Xfinity Series and one in the 2016 NASCAR Camping World Truck Series. Custer finished 10th in the Xfinity Series start and 17th in his Truck Series start. Custer’s last start at a 1.5-mile track was Homestead-Miami Speedway, which ended in a dominating victory by 15.405 seconds while also sweeping both stage wins to earn a perfect driver rating of 150. It was Custer’s first Xfinity Series win. Custer earned four top-five finishes in the Xfinity Series last season at 1.5-mile tracks – April 8 and Nov. 4 at Texas Motor Speedway in Fort Worth (fifth each time), Sept. 23 at Kentucky Speedway in Sparta (fifth) and Nov. 18 at Homestead (first). He also finished in the top-10 at three other venues – March 4 at Atlanta (10th), May 27 and Oct. 7 at Charlotte (N.C.) Motor Speedway (seventh and sixth, respectively) and Sept. 16 at Chicagoland Speedway in Joliet, Illinois (seventh). 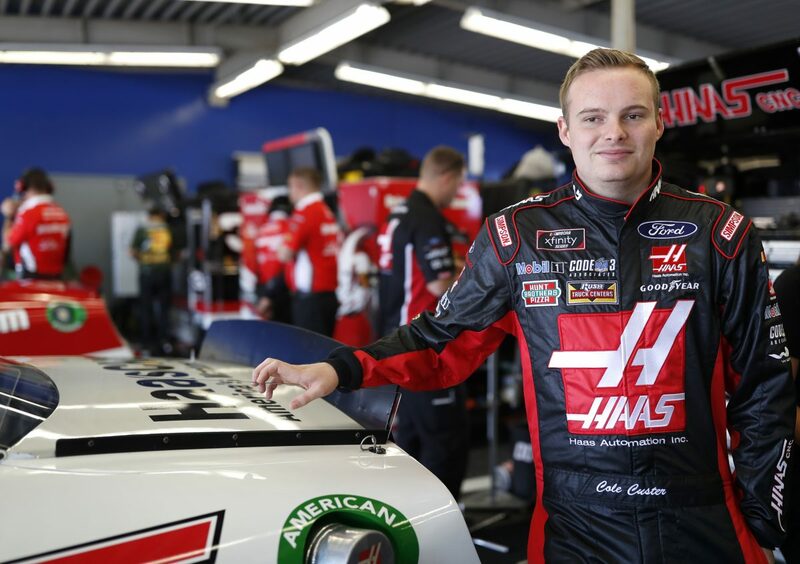 During last weekend’s season opener at Daytona (Fla.) International Speedway, Custer started 14th in his Haas Automation Ford Mustang and battled through 12 caution periods to finish 14th. He earned 24 playoff points. What makes you so dominant at the 1.5-mile tracks? What are some characteristics of Atlanta that are appealing to your race style? What car is the Haas Automation Ford team bringing to Atlanta?